Should EOS adopt the EOS User Agreement (EUA) in place of the interim Constitution? POLL: Should Referendum Proposals Have A Small Cost In Order To Eliminate Spam Proposals? Spread out WPS tokens evenly to everyone. Take the currently locked tokens reserved for the Work Proposal System and spread them out to all users based on their holdings 30 days after acceptance of this proposal. Users would get a percentage of those tokens based on the percentage they have of the total EOS in circulation. POLL: When Staking, Should Users be Able to (Optionally) Increase Their Future Unstaking Duration? Let's get the exchange to develop a voting tool. 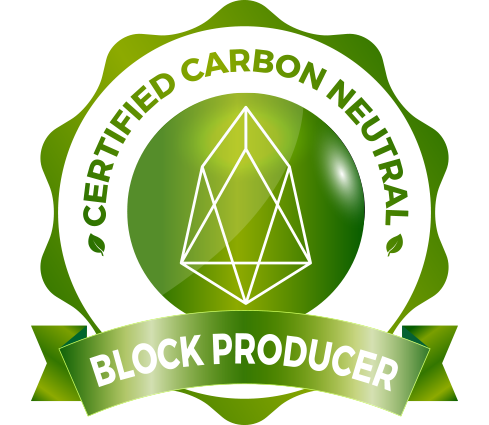 Enforced minimum requirements for Block Producers to ensure no "sock-puppets" are in eco-system. Also, lower tier BP's randomly rotated in to ensure they have the ability to produce blocks. If they fail, they are taken out of rotation. Should EOS establish a voluntary, non-inflationary, commons fund for EOS core development through a bidding system built on top of eosio.token smart contract? Let's create a credible agency or site that can tell you how much BP is working!!! Should EOS adopt the EOS Community Constitution (ECC) in place of the interim Constitution? I think it's a great idea to add a comment box to each proposal so everyone can voice their disagreements. This method will cut down the list of unnecessary proposals and concentrate on what's important. Also it will organized all the information content to that proposal in one place. I feel that rewarding voters is a key element because on the hierarchy of things voter are senior to almost everything in the platform, voters get to decide the BPs who then get to decide things and who make the blocks so it make sense to give them (the voters) something. For this proposal I think that 1% of annual inflation should be given directly to voters. one person one vote Max 30 votes. One person one vote. One person can cast Max 30 votes like real democratic system. Make the unstaking period 30 days instead of 3 days. A higher unstaking period will allow more time to stop token theft and give EOS stakers more resources + reduce effectly supply of token. Would make even more sense if a reward mechanism is introduced for voting for 30 bps or the like in the future. We should add the ability to be notified of new referendum proposals similar to how we can currently be notified of all actions on an account. Also, we could be notified of ending proposals and the current status in relation to whether or not they are going to pass/fail. Block Producers should be paid more tokens when USD EOS price lower and less tokens when USD EOS price higher.